Court orders Kol Barama radio station to donate $280,000 to women's groups. The Jerusalem District Court on Thursday fined a haredi radio station one million shekels ($280,000) for excluding women from its programs over a two year period. Broadcaster Kol Barama's "exclusion prevents women from enjoying a public resource in an equal fashion, since women listening to the station do not see themselves represented in...media belonging to their sector," Judge Gila Kanfi-Steinitz said. While Jewish law only forbids men from listening to women sing, some radical haredi groups also oppose females appearing in public, particularly in broadcast media. A class action lawsuit filed in 2012 by the feminist association Kolech and the Israel Religious Action Center (IRAC) accused the radio station of failing to bring a single female voice to air during its first two years of operation, between 2009 and 2011. The court ordered Kol Barama to donate its fine to initiatives bolstering women's place in society, IRAC said in a statement. Kol Barama said it had not given air time to women over the period in question because the haredi community -- its target audience -- did not want to hear female voices. Since 2013, it has employed female broadcasters, but it still does not play songs sung by women. A 2012 survey by Kolech found 20 percent of the station's listeners were shocked by its exclusion of women. 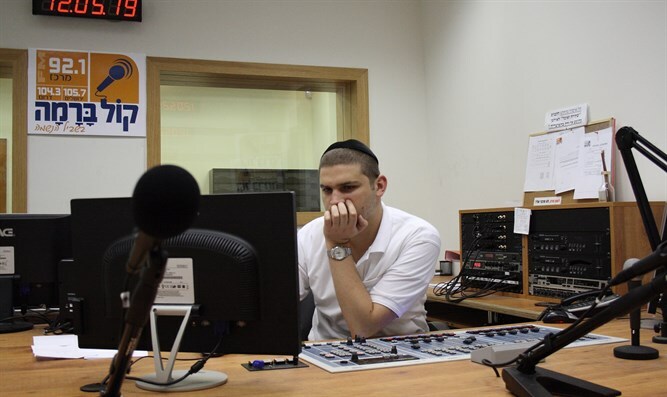 Kol Barama broadcasts current affairs programs, music and discussions on Jewish faith and philosophy.